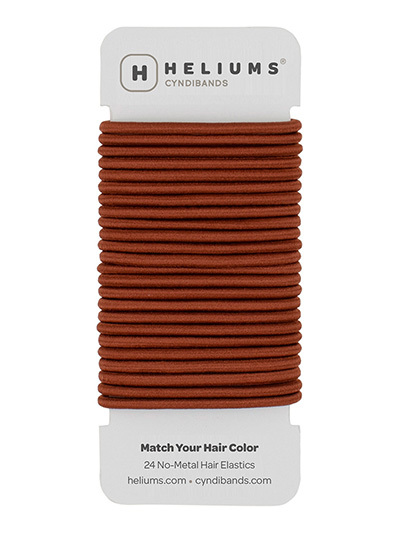 Our Color Match collection, available in shades for blondes, brunettes, redheads, gray, and black hair includes hair ties, bobby pins, and hair pins to help your updo style blend seamlessly with your individual hair color. 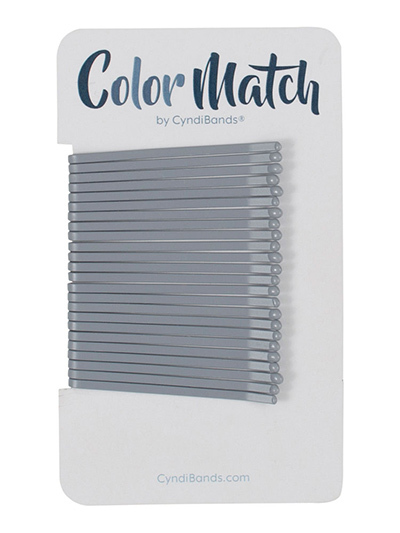 Stand out at your next event by offering custom printed Cyndibands hair ties and packaging with your logo, tagline, custom message or hashtag. 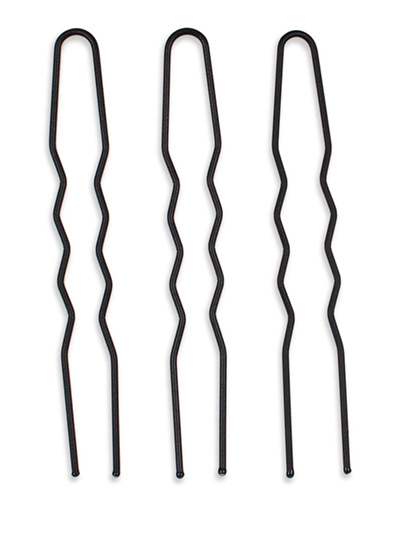 Cyndibands are made from a soft elastic that is knotted at the end so there is nothing that pulls on your hair. 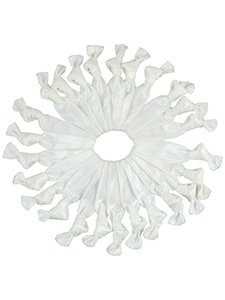 When you take down your ponytail, you don't have to worry about hair breakage. 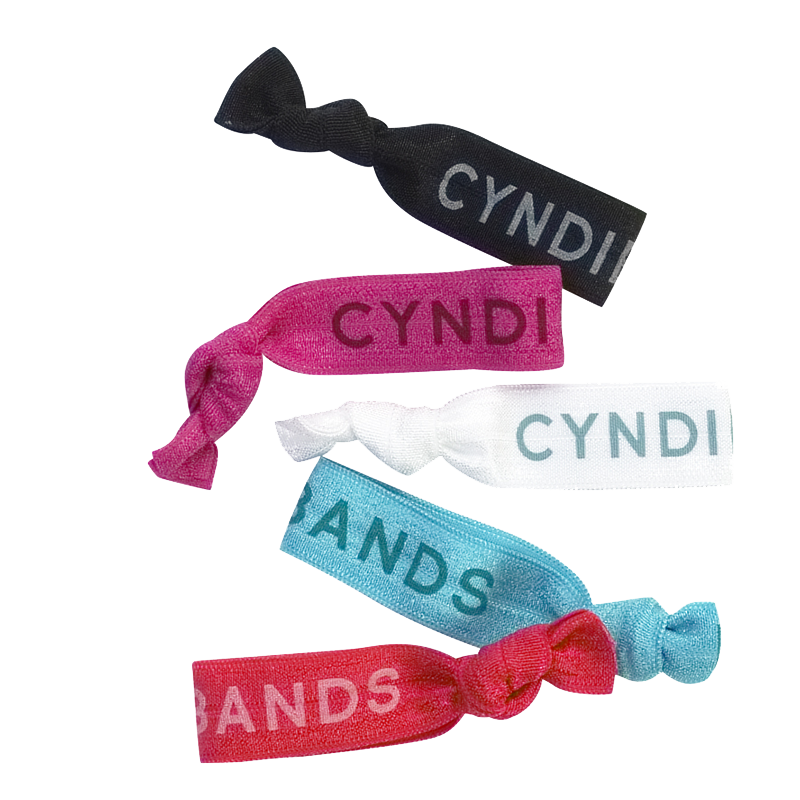 Cyndibands hair ties are hand tied and intentionally not pre-stretched. We do this so you can adjust the size when you first get them. 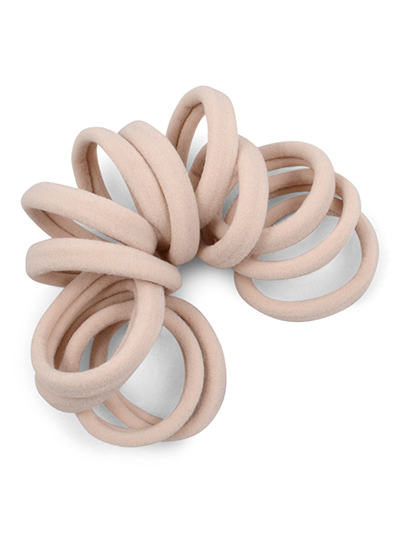 For kids, we usually adjust the knot to make the hair tie smaller. 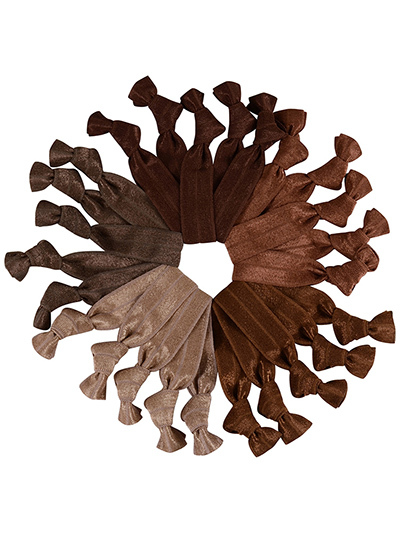 Large packs of Cyndibands hair ties can be used to create sets that match your school, team, brand or event. 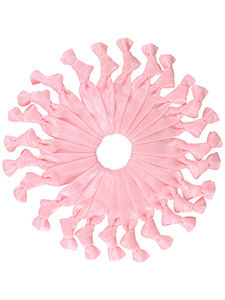 DIY your own party favors for bridal showers, baby showers, bachelorette parties, birthday parties, bat mitzvahs, and bridesmaid gifts or provide guests with bracelets matching your event colors. 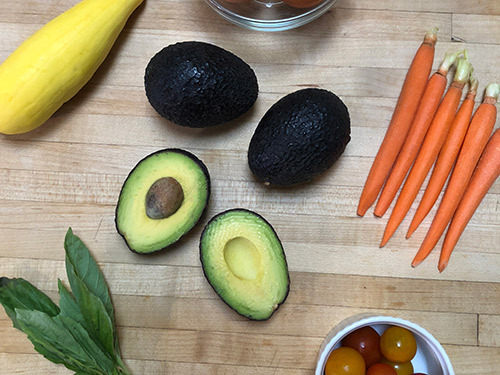 What should you put on your plate to get your hair healthy from the inside out? 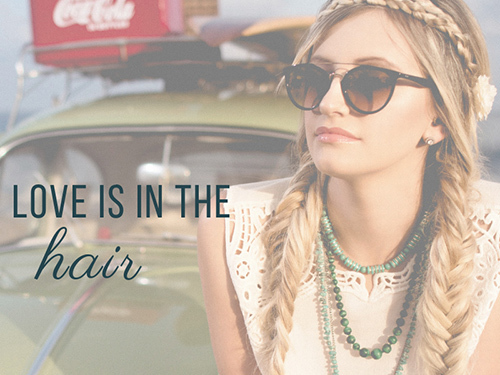 Fun and inspirational quotes about hair, girl power, and all those missing bobby pins. 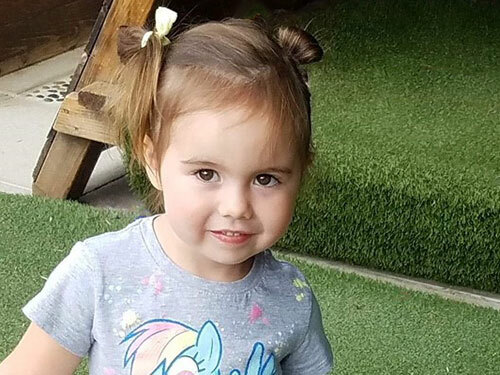 Having daughters means having to do their hair. 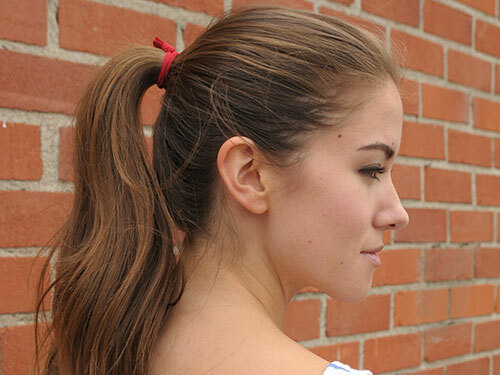 Ponytails, braids, buns, and all those other funky-cool styles they beg you to do mean you need hair ties. 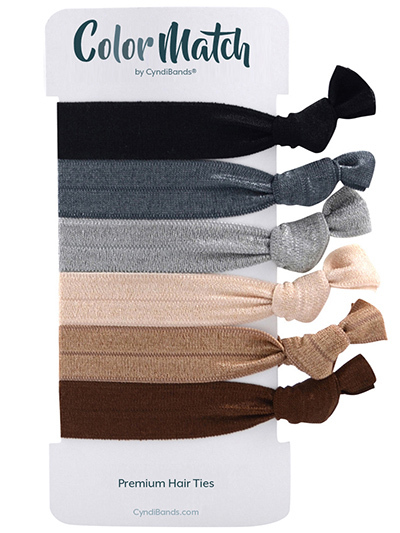 Cyndibands, the ultimate gentle elastic hair tie, presents the Match Your Hair Color Collection. 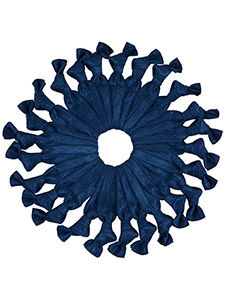 We created our own floral headband. 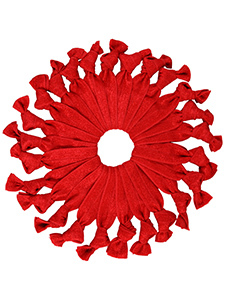 Follow the steps to make your own at home using a soft elastic Cyndibands headband.